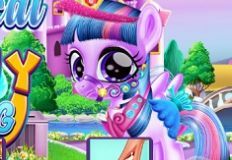 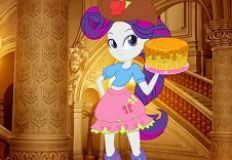 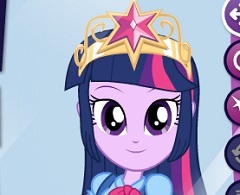 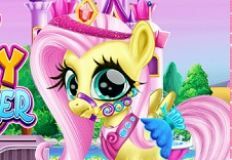 Come and join us in this new game that we have to offer, a new dress up game with one of the characters from the animated series, My Little Pony. 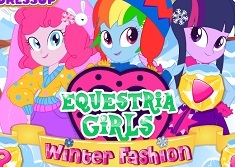 This new game that we have for you is a cute girl game in which you will have to prove us how talented are when it comes to fashion. 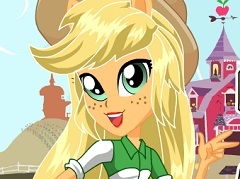 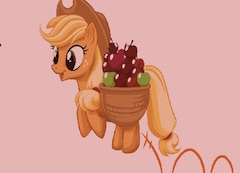 The main character of the game is Apple Bloom, Apple Jackâ€™ little sister. 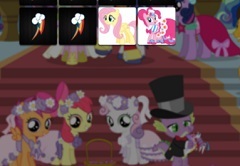 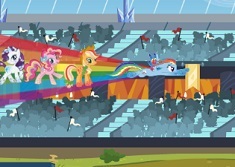 Apple Bloom starts her enthusiastic pursuit of a cutie mark in Call of the Cutie, along with Sweetie Belle and Scootaloo. 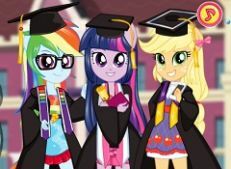 In this new game, your friends wants to go to the school party that will be host tonight and she needs your help to choose an outift for her. 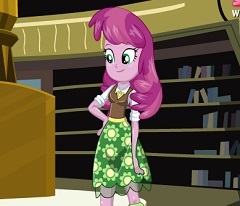 Fashion is not really Apple Bloomâ€™s domain and that is why she wants you to choose the perfect outfit for her. 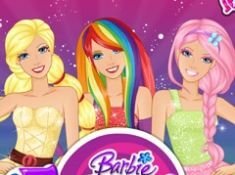 The game offers all the outfits and accessories you need, and the only thing you have to do is to analyze and choose for her. 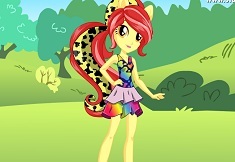 Have fun in this new game with Apple Bloom!